How to use free software to push organizations into the next level? How to digitally empower citizens and administrations? This was the topic discussed last April 8th in Barcelona together with two experts, two representatives of the Free Software Foundation Europe (FSFE): Erik Albers and Alexander Sander. The event “Public Money, Public Code. 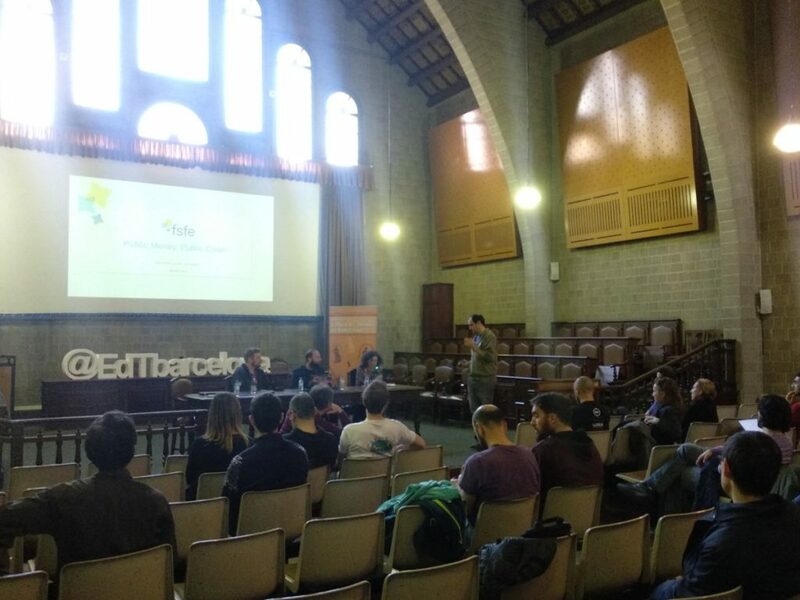 Digitally empowering citizens and administrations”  was organized by the Asociación KDE España and moderated by Dimmons (UOC–IN3) and took place at the Escola de Trabaill of Barcelona in order to give an overview on the Free Software world and discuss public policies around it.  The FSFE is a non-profit, non-governmental organization that works to create general understanding of and support for Free Software (FS) and opens standards in politics, business, law and society. It supports individuals and organizations in understanding how FS contributes to freedom, transparency and self-determination and, from a legal point of view, it collects and shares knowledge about legal and licensing aspects. 4. improve, since it can be modified by anyone, and these improvements can be shared publicly. So, these rights help support other fundamental freedoms like freedom of speech, press and privacy. Forbid sharing and exchanging publicly funded codes, preventing cooperation between public administrations and hindering further development. Support monopolies by hindering competition, with the result that many administrations become dependent on a handful of companies. Pose a threat to the security of our digital infrastructure by forbidding access to the source code and creating fixing backdoors and security holes. On the contrary the kind of software that fosters the sharing of good ideas and solutions, that guarantees freedom of choice, access, and competition, that allows IT services improvement, that helps public administrations regain full control of their critical digital infrastructure, and thus supporting them in becoming independent, is more and more necessary. The two experts of the FSFE stressed therefore the importance to rely on Free and Open Source Software in public administrations instead of proprietary software. In this way, it is possible to see and inspect the code, learn from it and reuse. Thus, costs are minimized, since investment can be concentrated on human resources instead of capabilities; in addition, processes become transparent and shareable (still reducing costs). The FS also guarantees technological sovereignty: it is possible to choose local entrepreneurs who respect users’ rights and freedoms, change providers if necessary and retain control of data; this means that it is possible to have tailored software that suits people’s needs and not just the vendor’s business model; at the same time the monopoly and the oligarchic dependence to big technological vendors is broken. In addition, FS allows to work with communities. 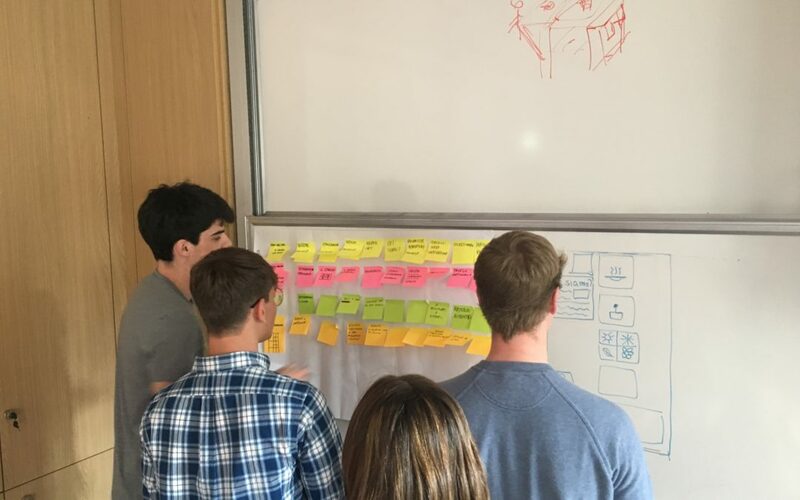 Indeed, it uses the talent of FS developers, represents and gives voice to users and developers, and, in that respect, local SMEs can become strong partners. From a legal point of view, it allows to connect legal experts and companies, it represents a safe place to discuss issues and to find solutions to overcome problems. From a political point of view, it favors the collaboration among cities working on joint projects, building networks. Regionality, autonomy and efficiency are therefore three crucial key words. But above all, publishing source code is a way to give taxpayers’ money back to society. For this reason, the FSFE has launched the campaign: Public Money, Public Code. Public bodies are financed through taxes and they must make sure they spend funds in the most efficient way possible. 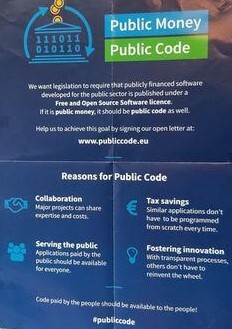 Under the claim “if it is public money, it should be public code as well”, the Foundation pushes for legislation requiring that publicly financed software developed for the public sector be made publicly available, under a Free and Open Source Software license. The campaign revolves around an open letter advocating that publicly funded software should be free. Currently, this call to public agencies is supported by more than 21499 people and 161 organizations that have already signed the letter. Technology for a better government through an ambitious plan for digital transformation that includes strategic projects to counter social problems, detected as government priorities. Urban technology to guarantee that the city has digital infrastructures it requires for its overall management and to ensure the provision of uniformed public cover for all city residents’ needs in terms of housing, unemployment, social exclusion, health, energy and mobility. City data commons: data are a prime asset in the knowledge society and should be perceived as a common asset; the city promotes this view in order to achieve the democratic, open, transparent and regulated management of this resource. Among all the different projects the city is running, DECIDIM has to be mentioned, since it is the biggest FS program of the city. It is a digital platform for the democratic participation that allows citizens to debate, attend meetings and create proposals. The platform’s source code is publicly available, enabling other cities to use it and adapt it (similar to the CONSUL of Madrid). This is not the place to detail the project, but it should be said that government is investing public money in FS so citizens can control the software, and platforms can remain in the public domain, managed and governed by the community. Barcelona has also been the first city to sign the campaign launched by the FSFE Public Money, Public Code. By date, it is running a migration plan with a pilot project on processing workstations into a completely free operating system. But the whole information infrastructure is moving towards open standards, open stocks and interoperability. Basically, Barcelona is migrating its computer system away from the windows platform; the strategy is first to replace all user’s applications with open-source alternatives, until the underlying Windows operating system is the only proprietary software remaining; in a final step, the operating system will be replaced with Linux. We are moving in the frame of the “digital democracy” and “digital sovereignty”. That means taking back control of data and information generated by digital technologies, and promoting public digital infrastructures based on free and open source software, open standards and open formats. So, in order to regain sovereignty and guarantee citizen digital rights, public-common democratic infrastructures are required. Today a growing number of public institutions started a transition to free-software solutions. This does not only grant independence but can address the often argued need for public access to publicly-funded developments. In addition, the experts highlighted that this is the only way that public services can ensure that citizen data is handled in a trustworthy manner since non-free software wouldn’t allow total control (or even knowledge) over the employed functions of the needed programs. The migration process nevertheless is very complex and can also fail. See what happen in Munich for example: the German city indeed was famous for rejecting Microsoft in favor of using Linux on its PCs, but in 2017, after more than a decade of running Linux-based PCs, it has decided to switch about 29,000 PCs to Windows 10. A study of IT at the council by consultants Accenture and ARF said that it took the council too long to update software and fix bugs, resulting in “obsolete, partially unsafe, usually extremely cumbersome IT, leading to lots of wasted time and productivity”, but blamed a lack of coordination between the more than 20 IT departments serving the city, rather than the use of open-source software. The two experts of FSFE suggest to do the migration step by step. What is really important is not the duration of the process but the commitment of the administration. What is important to highlight is that we are facing not only great technological change, but overall a cultural and a structural organizational change, and a change in the way public services are designed and delivered. For this reason, the digital revolution should be connected to a democratic revolution. That means rethinking the relation between government and citizens to ensure that citizens take back democratic control and take an active part in the city life. Technology should be rethought and used from the angle of the Commons. The point is that, in a democratic city, technology should serve to: digitally empower citizens, protect their privacy from abuses by public and private powers, fight against corruption and to advance towards a more equitable and sustainable economy. That means favoring the creation of technological models that are ethical, responsible and civil, and conquering technological digital sovereignty for common goods. 4th Civic Collaboration Day, Save the Date! On May 4th will take place the civic collaboration day. 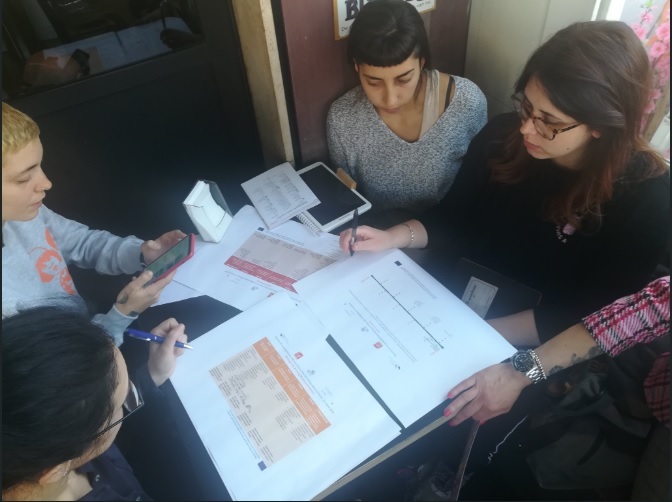 This year, as the co-planning sessions for the Local Action Plan of the Rome Collaboratory, (Open Heritage Horizon 2020 project) just ended , CooperACTiva will propose an event to valorize cultural heritage and promote civic collaboration whilst involving local actors. 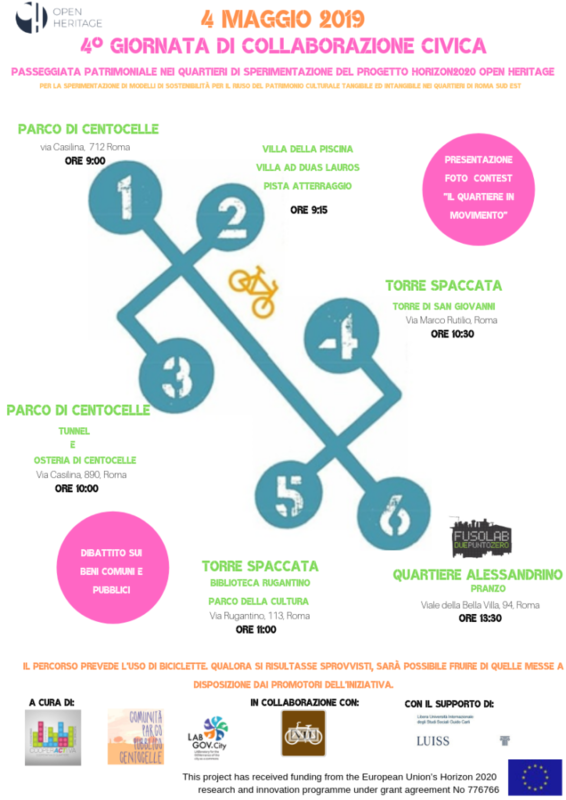 CooperACTiva, first community cooperative born within a complex area in Roma along with LUISS/ LabGov support, will indeed organize the “Heritage Walk”, a bike tour through Alessandrino, Centocelle and Torrespaccata neighborhoods. The participants of the #collab_bici will have the opportunity to discover beautiful places, left aside by mainstream touristic tours. 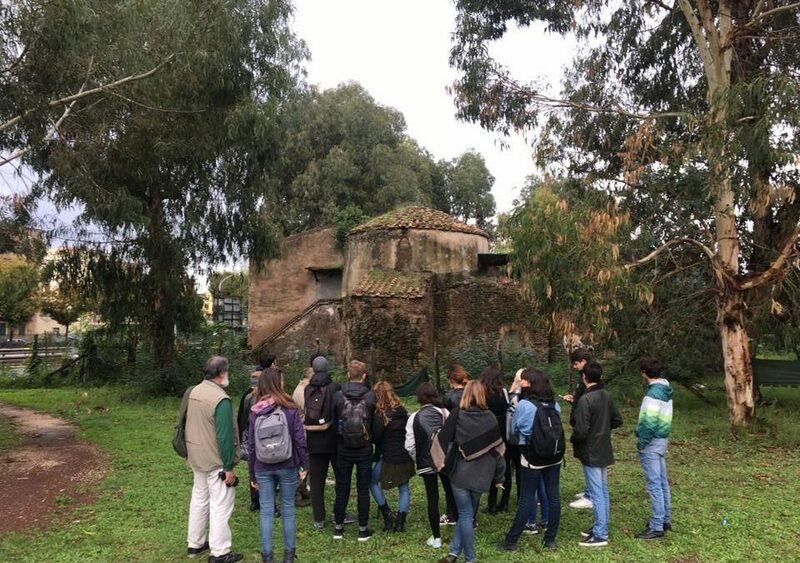 The first part will indeed be dedicated to the visit of the Centocelle archeological Park through which the participants will have the chance explore many little-known places including the Villa della Piscina, Villa ad Duas Lauros and the Runway airport. The tour will then continue and the participants will ride alongside the Tunnel and Osteria located in Centocelle. This event, aiming to promote cultural heritage through sustainability, will also be part of a series of sustainable initiatives set up during the “Sustainability Festival”, a macro-event organized by the Italian Alliance for Sustainable Development (ASVIS) to raise awareness of environmental sustainability. In this context, CooperACTiva is planning another bike tour on May 26. Follow the #CooperACTion, and stay tuned! 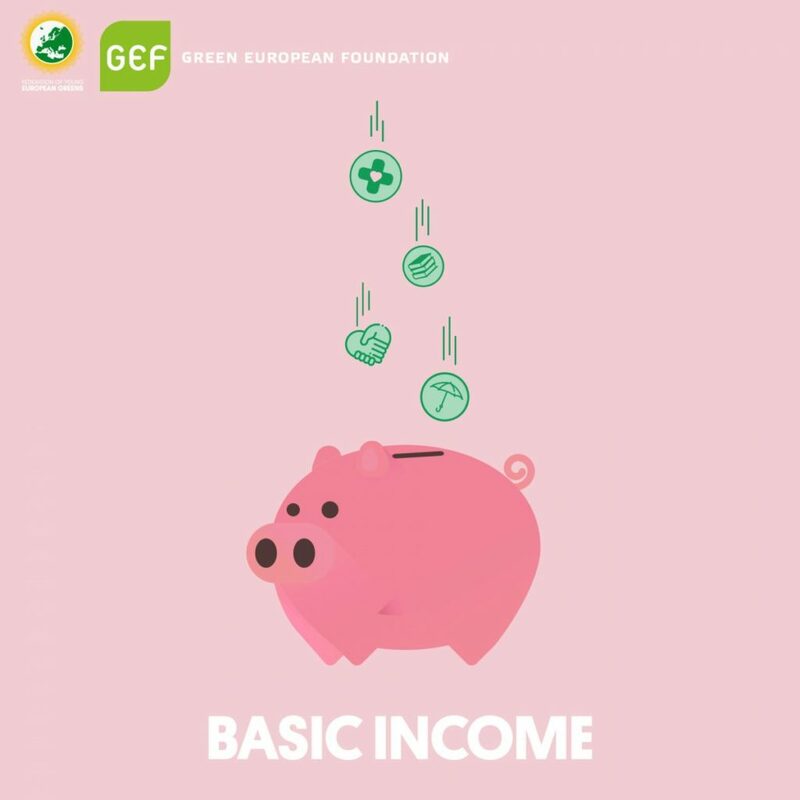 Join Green European Foundation for a workshop exploring basic income, existing pilot projects, and the potential impact of such schemes on our societies on the 24th of April from 5.30pm to 7.30pm at the Social Center TPO, Via Camillo Casarini 17/5, Bologna, BO 40131 Italy. This event is part of the Green European Foundation transnational project Basic Income – European Public Debate. 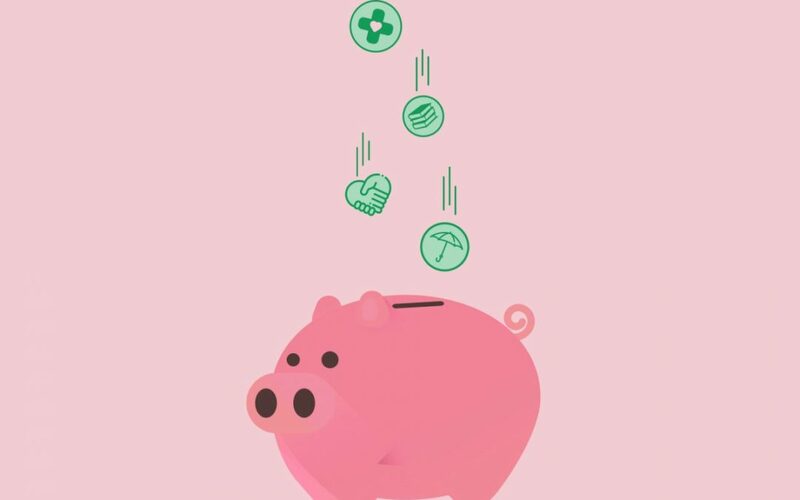 Basic income has emerged in recent years as a potential tool to reverse the current issues facing society, such as lack of affordable housing and access to education and healthcare, income inequality and disparity between generations. As basic income gradually permeates into mainstream debates and factors like technological advancements change our understanding of work, it is important to explore how such a scheme could be implemented, and the impact it would have on social rights at the local and European level. 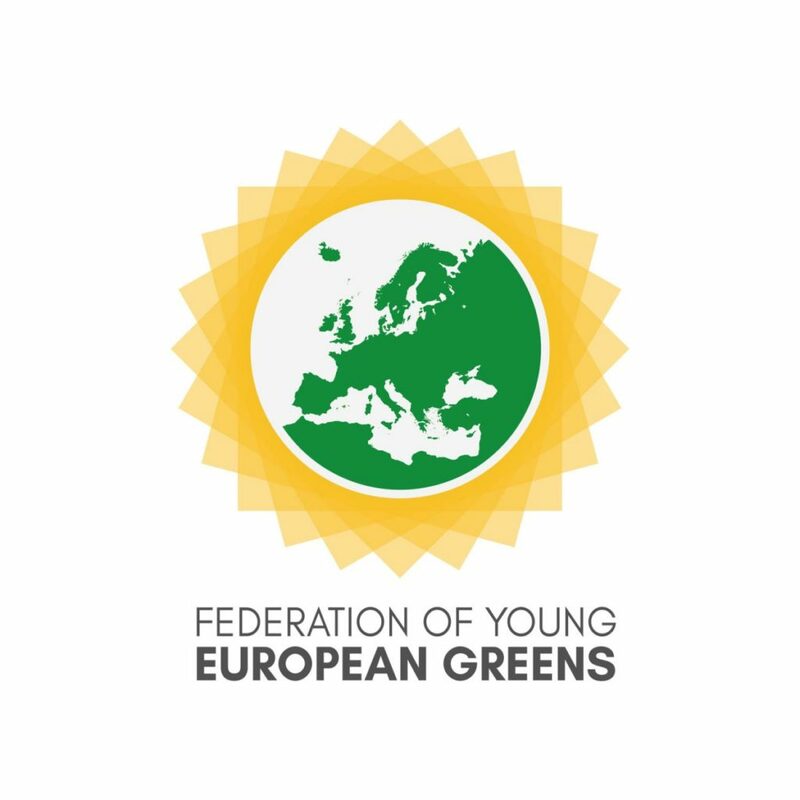 This workshop will be held as a side event of the Federation of Young European Greens (FYEG) four day educational event on social rights, and organised with the support of FYEG. It will bring together young people locally and from across Europe, with international participants including those from FYEG member organisations, social movements, and trade unions. Participants will learn via roundtable discussions about basic income, existing pilot projects and the connection with social rights. They will identify the pressing requirements to make such a scheme a reality. The presentation of the GEF publication European Green Perspectives on Basic Income will provide an introduction to the basic income concept and describe successes and limitations of past pilot projects, and discuss the results of research into the impact of basic income schemes on access to housing, education, healthcare and employment. Two fishbowl-style dialogues will serve as a basis to discuss the challenges and solutions to basic income implementation. This part will touch upon the need for certain infrastructure to be in place and the challenges associated with competing views of basic income. Finally, roundtable discussions will delve deeper into the realisation of basic income on the local and European level, with a focus on connecting the two levels together and how basic income could strengthen social rights at these levels. The workshop will be free and open to everyone but subject to registration. You can register by filling in this form. Deadline for registration is Wednesday, 17 April 2019, midnight CET. The event will be held in English but whispered translation from English into Italian can be provided on the spot. Image: Sofia Croso Mazzuco. 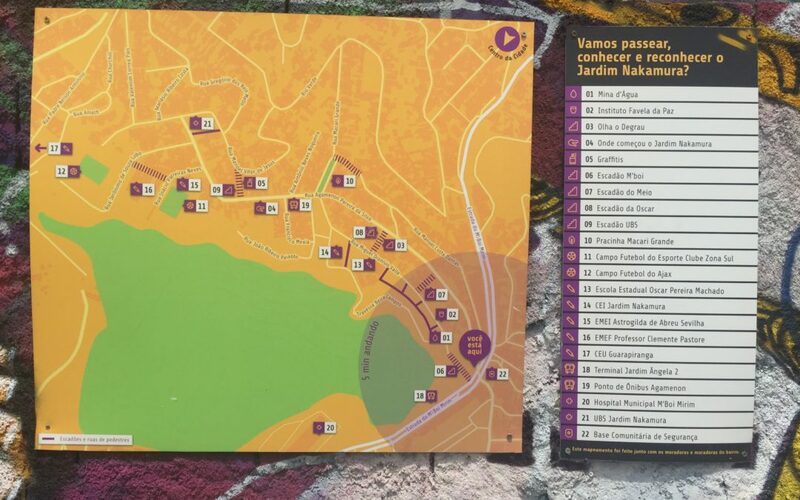 The welcoming of Jardim Nakamura map showing the local context. 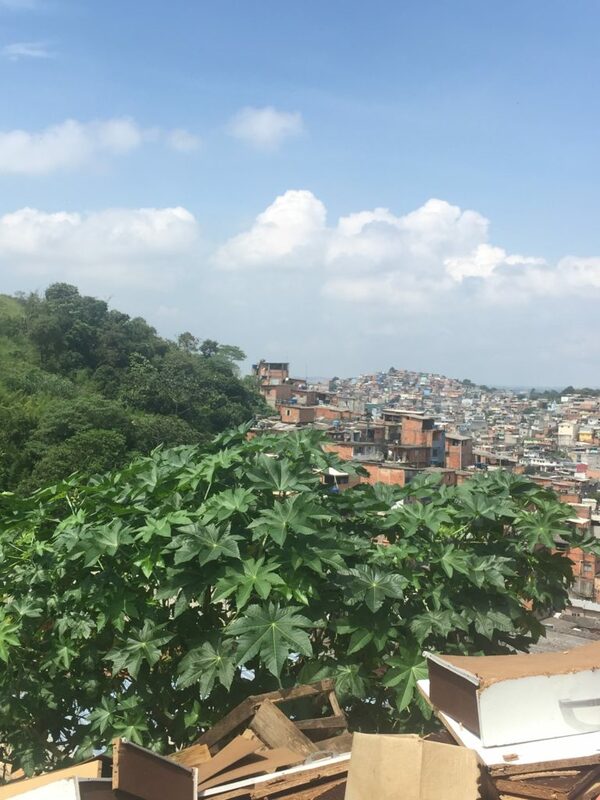 Jardim Nakamura is a peripheric community in the city of São Paulo, in Jardim Ângela neighbourhood, and the lucky place chosen for an urban signalling project that aims to tell the story of the territory in order to bring a new sense of appropriation and belonging to the area. The project called “Passeia, Jardim Nakamura”- which means “stroll, Jardim Nakamura” – was developed by two NGO’s; SampaPé! (1), which promotes the appropriation of the city through the genuine act of walking and occupying public spaces; and COURB (2), which promotes the encounter between organizations that aim to strengthen collaboration for development in the urban environment. The project clearly made it possible for the neighbourhood to be reinserted in the history and territory of the city of São Paulo in a different manner, since the acknowledgement that there are stories worth being registered invites a different outlook towards Jardim Nakamura. 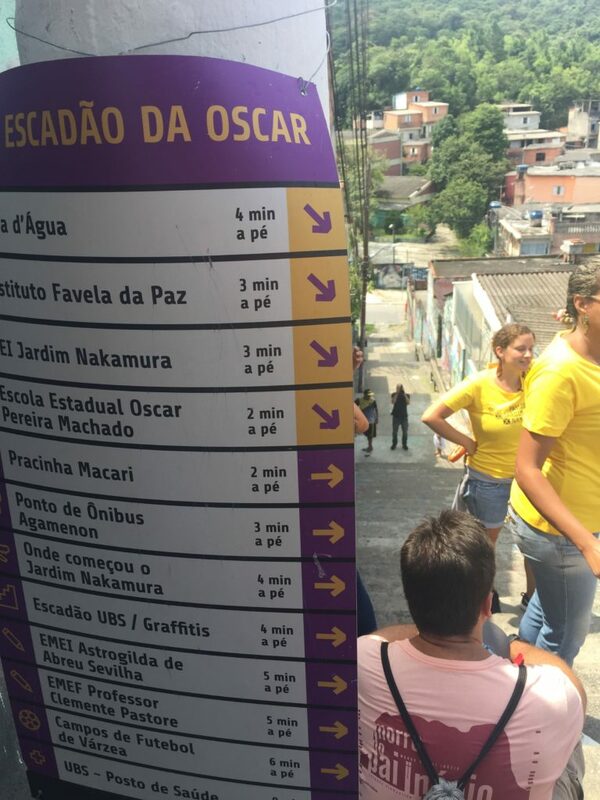 Children who live in the neighbourhood also participated in the installation of the signalling through a treasure hunt game, where the finding of a signalling spot was linked to the painting of that area with a project symbol. Involving children in this activity aimed to help promote appropriation of the place and the awareness of being a citizen and helping build the local history. 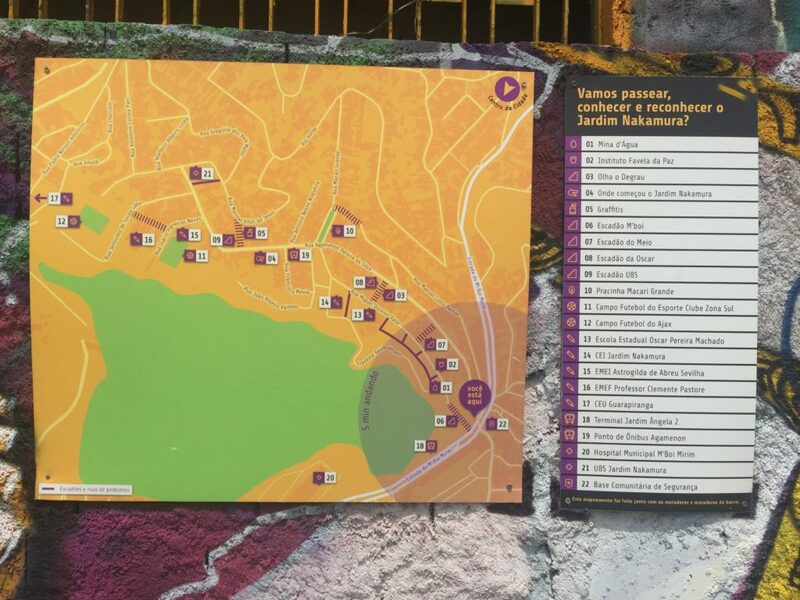 The area already received many visitors before the project was completed, for hosting a local community institution which is an example of sustainability and circular economy – namely the institute Favela da Paz (4), which explores different projects linked to local culture, citizenship, music, clean energy production and the well known cooking project Vegearte (5). This institute also partnered and gave support to the “Passeia, Jardim Nakamura” project, for believing in the value it could bring to the territory. Image: Sofia Croso Mazzuco. Jardim Nakamura seen from above. Besides the direct influence of the project in the community, it has also contributed to the discussion of how telling the story of a place through different lenses can help heal and bring new meaning to a territory; something worth considering when understating the power urban design has to influence the life of communities. Image: Sofia Croso Mazzuco. One of the signalling showing the distance to interest places. 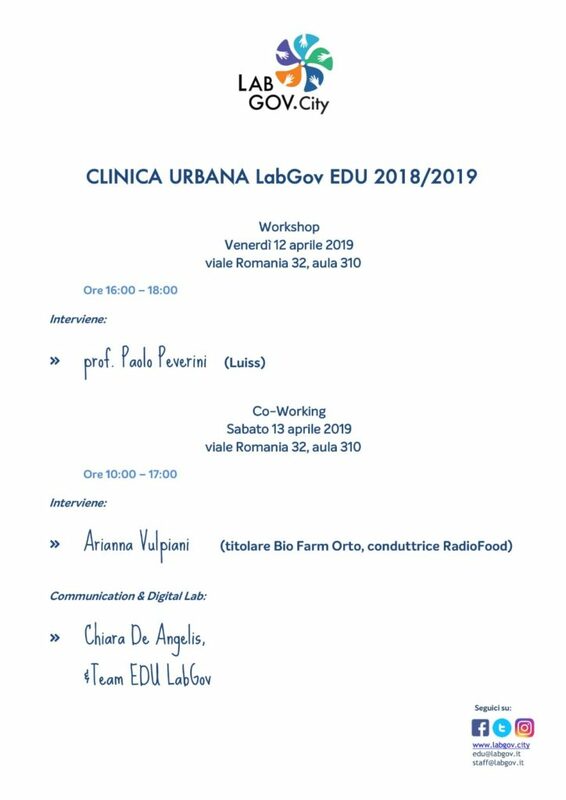 Save the date: the fifth module of the Urban Clinic EDU@LabGov will take place on 12th and 13th April in Luiss Guido Carli University. This fifth module is mainly dedicated to ‘Communication’. On Friday 12th April the workshop will take place in the classroom 310 from 16pm to 18pm in the Luiss Campus. The Urban Clinic will host prof. Paolo Peverini, professor at the Department of Impresa and Management and Political Sciences in Luiss Guido Carli University, and he is expert in Marketing Communication and new media languages. This meeting will represent an important step in the development of the launch of the digital platform that Labgovers have designed in order to understand how to communicate its value by exploiting the potential of social media. On Saturday 13th April from 10 am to 17 pm in room 310 of the Luiss Guido Carli Campus will take place the fifth co-working session. 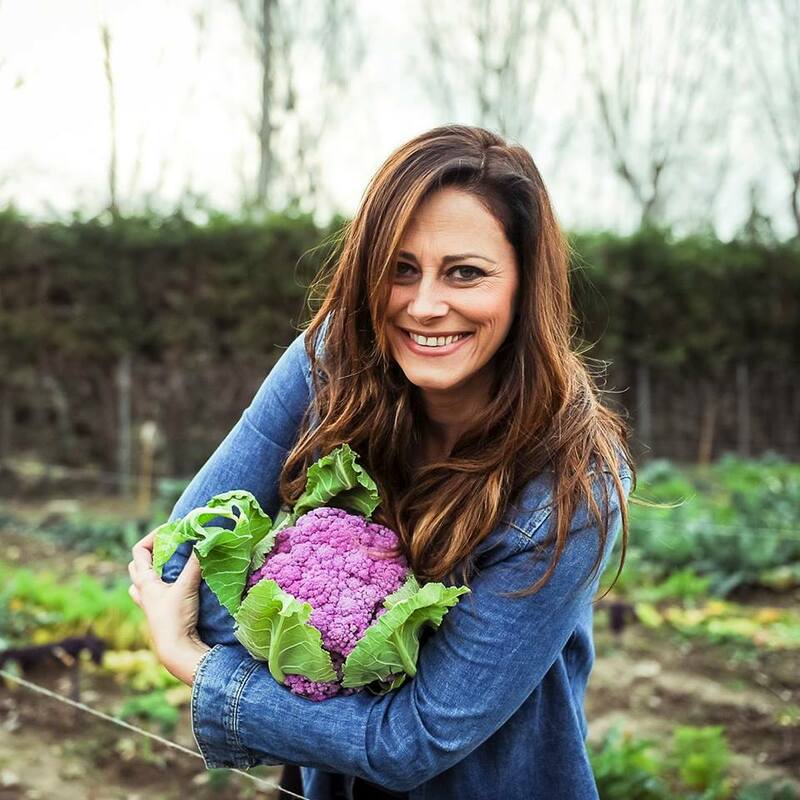 The Urban Clinic will host Arianna Vulpiani, agricultural entrepreneur of the Biofarm Orto (https://www.facebook.com/biofarmorto/) and host of RadioFood. She will talk to the Labgovers about her professional experience and the connection between urban agriculture, healthy food, entrepreneurship. She has communicated in a very disruptive way her life choices and she will try to guide the Labgovers in their communication planning session. The co-working session will be moderated from Chiara De Angelis, former president of LabGov and UX designer at Fifth Beat and from the team of EDU@LabGov to support the students in order to develop the communication plan for their idea and to keep on developing the digital platform. 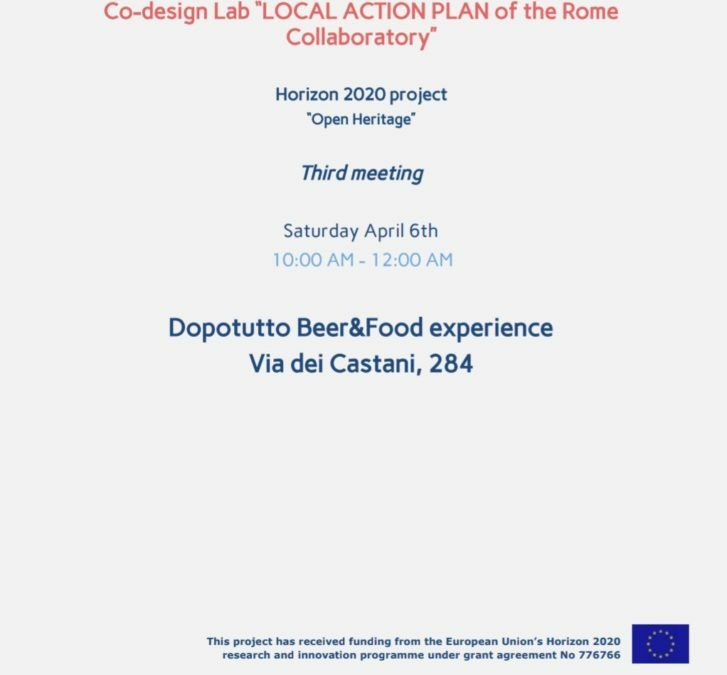 Saturday 06 March at the Dopotutto Beer&Food Experience the third session of the co-design lab of the Local Action Plan of the Rome Collaboratory took place. After a brief presentation of the activities defined during the weekly teamwork meetings, the session started. The participants, divided in groups according to the activities that they are developing, finalized the business plan and identified the stakeholders to be engaged in the sustainable tourism platform. The Bike Tours group analyzed the documents needed to carry out the operation and discussed the possibility of including in the project an NGO that would provide technical assistance and support for the guides of the bike tours. The Local Campaign group focused on defining an online and offline communication strategy aimed at promoting a narrative on the Heritage Site. The group also finalized the planning of the Living Memory Exhibition. The Living Memory Exhibition will include a contest of street art, photography, poetry and writing to involve the local creatives active in the district. The Living Memory Exhibition & Heritage Site group proposed to set up a photographic exhibition in the Tunnel with musical entertainment involving local music networks such us the Popular Initiative Center of Alessandrino (CIP).